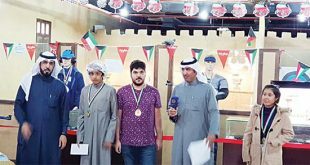 A file photo from the previous Kuwait shooting tournament. 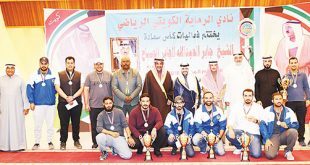 KUWAIT CITY, Jan 11: The Seventh HH the Amir of Kuwait Shooting Grand Prix will kick off Saturday evening at Sheikh Sabah Al-Ahmad Olympic Shooting Complex with the participation of more than 320 shooters from 39 Arab and foreign countries. 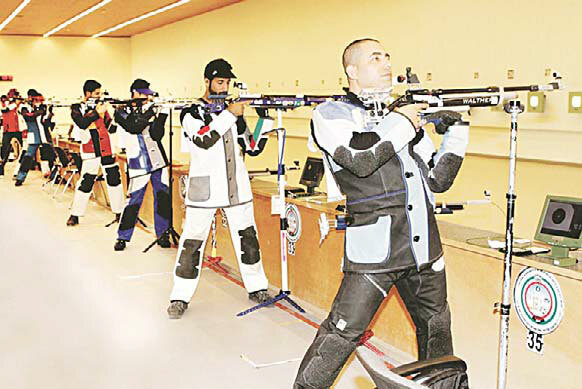 Minister of Commerce and Industry and State Minister for Youth Affairs Khaled Al-Roudan will attend the opening ceremony of the shooting championship, representing HH the Amir Sheikh Sabah Al-Ahmad Al-Jaber Al-Sabah. 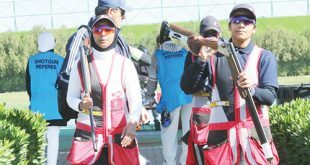 The Supreme Organizing Committee for the championship has completed preparations for the event, affirming that Mayadeen Shooting Complex is ready to receive shooters of both genders. 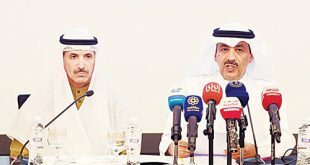 Meanwhile, certificates were issued to the participants of the training course for shooting umpires for shotgun and pistol competitions organized by Kuwait Shooting Federation and officially opened by Secretary General of Kuwaiti and Arab Shooting Federations Obeid Al-Oseimi. The training courses where held at the beginning of this week under the umbrella of the International Shooting Sport Federation. The training courses witnessed participation of 37 umpires from the Kingdom of Bahrain, Kingdom of Saudi Arabia, Egypt and Lebanon; in addition to new umpires from Kuwait. 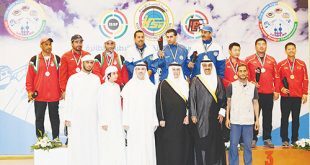 They will participate in the Seventh HH the Amir of Kuwait Shooting Grand Prix.